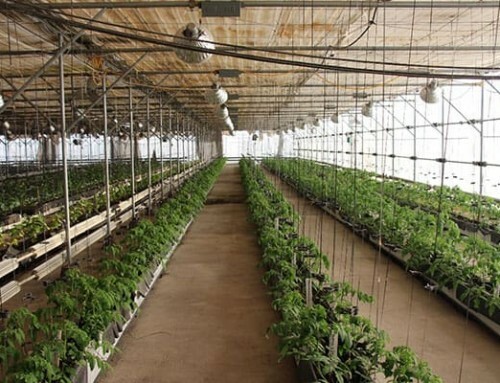 In Madanapalle, Andhra Pradesh, India—home to Asia’s largest tomato market—most farmers plant hybrid tomato seedlings. Raising hybrid seedlings is expensive; to be profitable, a nursery owner must convert every seed into a healthy seedling. To help nursery owners adopt quality nursery management practices, WorldVeg South Asia held a nursery management workshop on 17 July 2018 for 25 nursery owners in and around Madanapalle. The workshop demonstrated efficient ways to grow healthy seedlings using improved nursery management techniques. 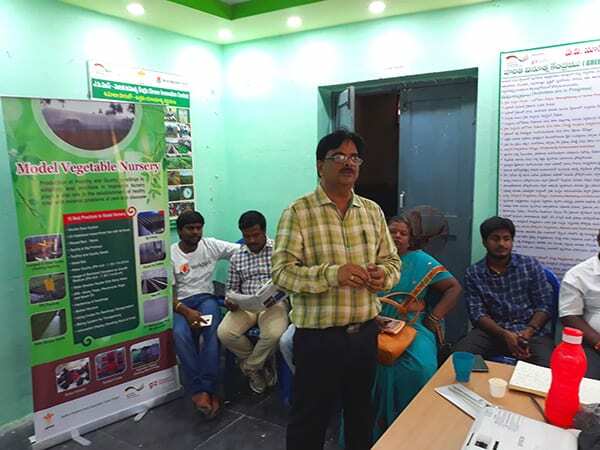 Srinivas, WorldVeg scientific officer based at Hyderabad, explained to participants the need to test the quality of cocopeat in which they grow seedlings and the water they use for irrigation as well. He showed how to use an EC (electrical conductivity) meter to measure the salts in water, and a pH meter to test the acidity or alkalinity of the growing medium and water. 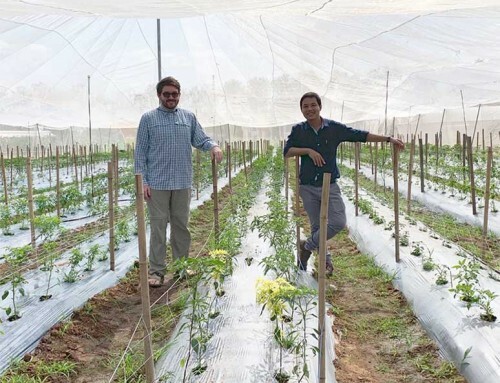 Srinivas also highlighted the advantages of installing a double-door system in a nursery to keep out pests, sterilizing the cocopeat, and using UV stabilized 40-mesh insect-proof net and raised beds. For proper seedling management, it’s important to test water quality and the growing medium. While explaining how to choose the right kind of planting trays and how to identify quality seeds, Karthik, scientific officer at Madanapalle, also emphasized the use of weed matting to keep the seedlings from contact with the soil. “I have been doing my nursery business for many years, and I never attended any workshops where I get a chance to talk to my fellow nurserymen,” said Madhusudhan, one of the nursery owners who participated in the workshop. 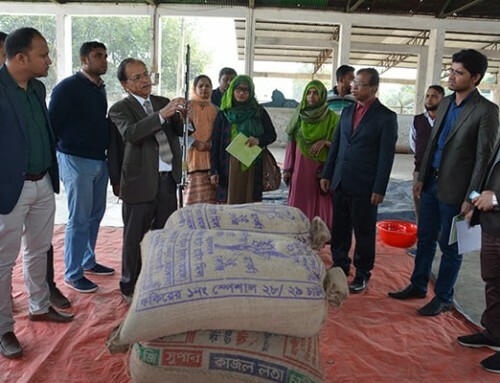 The day-long interactive session aimed to improve the practices of nurseries in the area and lead to the creation of several model nurseries in the coming years. 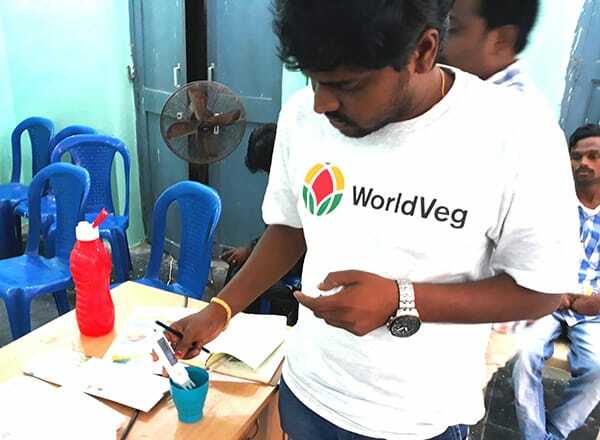 The WorldVeg South Asia team—Bharathi, Srinivas, Karthik and Srikanth Babu—organized the workshop with support from APMAS, in particular Vinayak Reddy and Jegan Mohan Reddy. 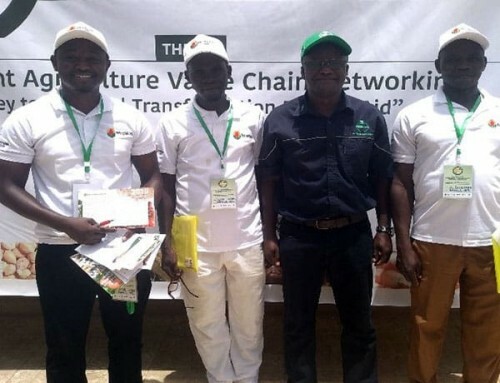 The GIZ-funded GIC project “Technical partnership to support Green Innovation Center for the Agriculture and Food Sector, India – Tomato Value Chain” supported the activity. Discussing the necessary elements of a model vegetable seedling nursery.